“Lamb of God” from Christian Faith Publishing author Antonius Witjaksono is a moving work of faith that contemplates God’s plan for salvation and Jesus’s central role as the sacrificial lamb, a grand gesture that can only be appreciated more deeply by drawing a parallel to the Old Testament story of Abraham, his miraculous son, and the sacrificial lamb God provides at just the right moment. “Lamb of God”: a stirring meditation on God’s plan for salvation. “Lamb of God” is the creation of published author Antonius Witjaksono, a servant of God who writes this work in the hope it will bring peace and stability into readers’ lives in the days to come. Published by Christian Faith Publishing, Antonius Witjaksono’s new book is a beautiful reminder not only of the marvel of God’s unfathomable love and mercy, but also of the truth that God will provide. With this work, the author invites believers to begin each section with a prayer, as the truths therein, as with the Bible, can only be discerned with the Holy Spirit’s revelation. View a synopsis of “Lamb of God” on YouTube. Consumers can purchase “Lamb of God” at traditional brick & mortar bookstores, or online at Amazon.com, Apple iTunes store, or Barnes and Noble. 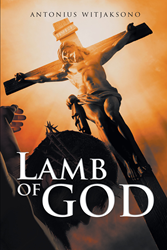 For additional information or inquiries about “Lamb of God”, contact the Christian Faith Publishing media department at 866-554-0919.